Isolating Check valves are used to prevent water from syphoning back when a pump is switched off. Steel strainers to protect pump inlets from pond debris. 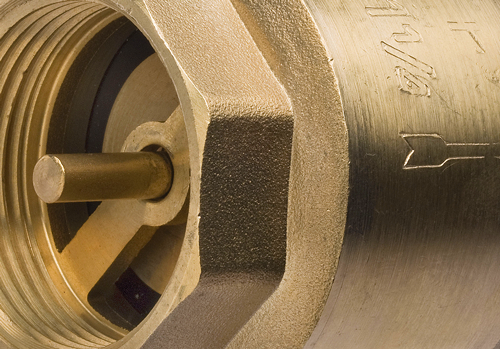 Check Valves (also known as non-return valves) can be used to allow water to flow in one direction only. This is useful where water is fed into a pond or tank below water level and should the pump be switched off, the water level is maintained. Strainers can be used to prevent larger solid waste or debris from entering an open pipe or hose.